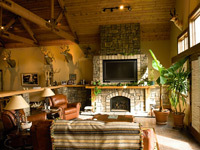 Twin Creek Ranch offers great hunting and accommodations. Feel free to contact us using the information below. All bookings requests can be made by calling or emailing us. We will do our best to to make this hunting experience a memory of a lifetime. Thank you! We look forward to seeing you on the Ranch! You'll find fishing opportunities southeast of Winnett at Petrolia Reservoir or southwest of town at Yellow Water Reservoir. 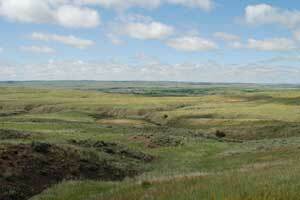 Access to Crooked Creek Recreation Area and fort Peck Lake can be found nearby from Montana Highway 200. 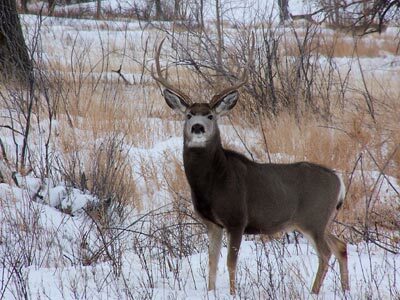 See also the James Kipp Recreation Area and War Horse National Wildlife Refuge. Visit one of the great western artists of all time. C.M. Russell protrayed the west like few have. His old west paintings depict a time in Montana History where cowboys, indians and buffalo roamed the plains. The C.M. 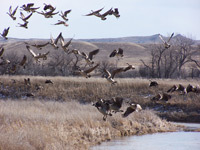 Russell National Wildlife Refuge is a must see for anyone visiting central Montana. This geographically diverse area encompasses the famed Missouri Breaks and is home to many natural history sites. Byron is a leader in the predator hunting industry. His videos Coming to the Call and his work on MoJo telivision is award winning. Byron has hunted the Twin Creek and if you are into coyote hunting his videos are a must see. The governing body for Sporting Clays shooting in the United States. Known as the gateway to Yellowstone and Montana the hub of Billings is the trailhead to many adventures. We provide round trip transportation for ranch guests to and from Billings Airport. Logan International is served by all the major airlines. Founded in 1997 in Polson Montana delivers high impact website design for a variety of small and medium sized business across Montana and the western United States. Spend a day with Lewis and Clark! Visit the Lewis and Clark Museum in Great Falls, Montana. Interactive displays help visitors relive this epic journey. A must see for the history buff. The Rocky Mountain Elk Foundation has a history of protecting valuable land for the benifit of both elk and other wildlife. Visit their visitor center in Missoula, Montana or read their magazine Bugle. Pheasants Forever helps preserve and protect the habitat necessary for the health of our favorite game bird. 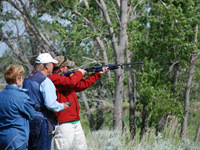 Montana Department of Fish, Wildlife and Parks is the governing agency for all hunting and fishing licenses in Montana. Their interactive website allows everyone to apply for a license on line. Our nearest community to the ranch. Also the gateway to Central Montana. Plenty of great shops and services. The Ultimate Flathead Lake Vacation Guide combines all of the information you will want to plan your Montana vacation in one handy interface designed to work on your PC, Tablet, or Smart Phone. Looking for an event, a hotel, a place to hike around Flathead Lake? If so, this is the Ultimate Guide for you. The guide contains more than 70 pages of information and links to local business, public campgrounds, hiking trails, fishing access sites and just about any other information you want when you vacation on Montana's Flathead Lake.